Deadpool is back and he’s running home to you as fast as his little baby legs can carry him! 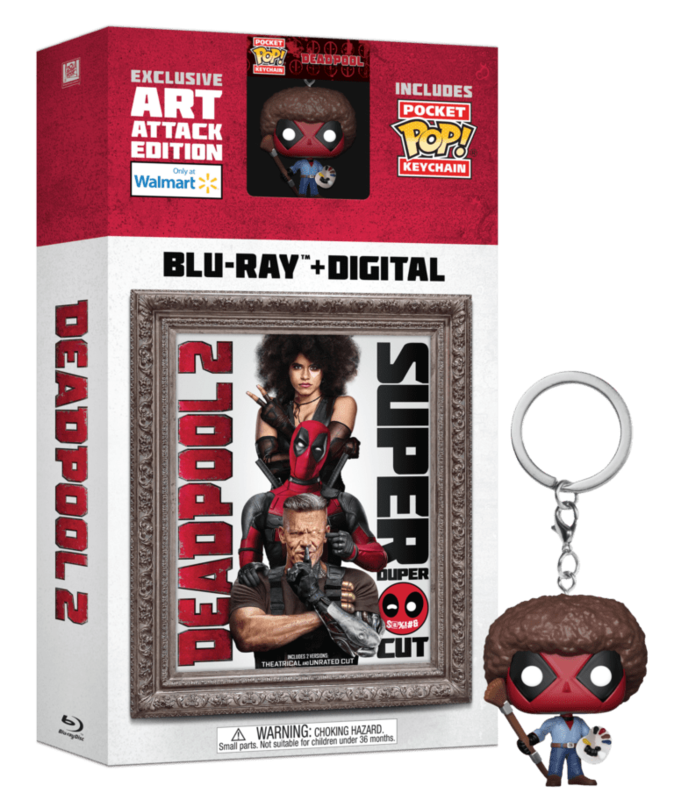 The highly-anticipated Deadpool 2 Super Duper $@%!#& Cut is available today (Tuesday, August 21st) on Blu-ray/DVD and digital release. 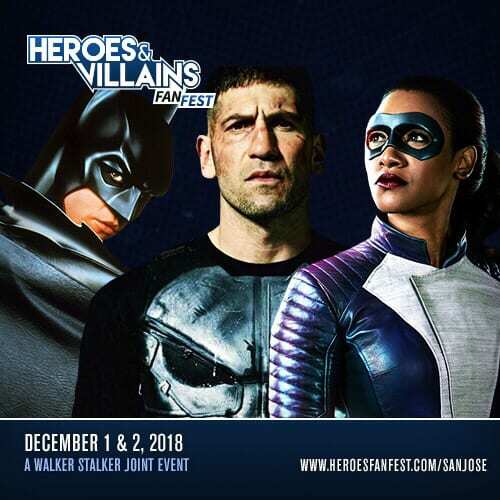 Deadpool himself is dropping the news in a way that only he can do. Check out the Deadpool 2 Super Duper $@%!#& Cut, featuring ol’ baby legs himself, below. 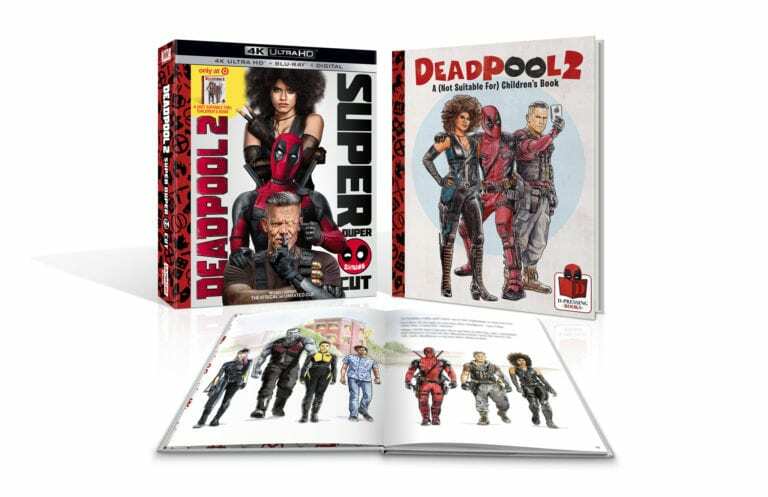 The Deadpool 2 home formats each come loaded with bonus features and never-before-seen content from the film. The home release boasts 15 additional minutes of Deadpoolish goodness as well as a gag reel, deleted scenes, commentary from Ryan Reynolds himself and much, much more. In addition to these home release bonus features, there are also different exclusive versions of the cut which you can own depending on where you shop. 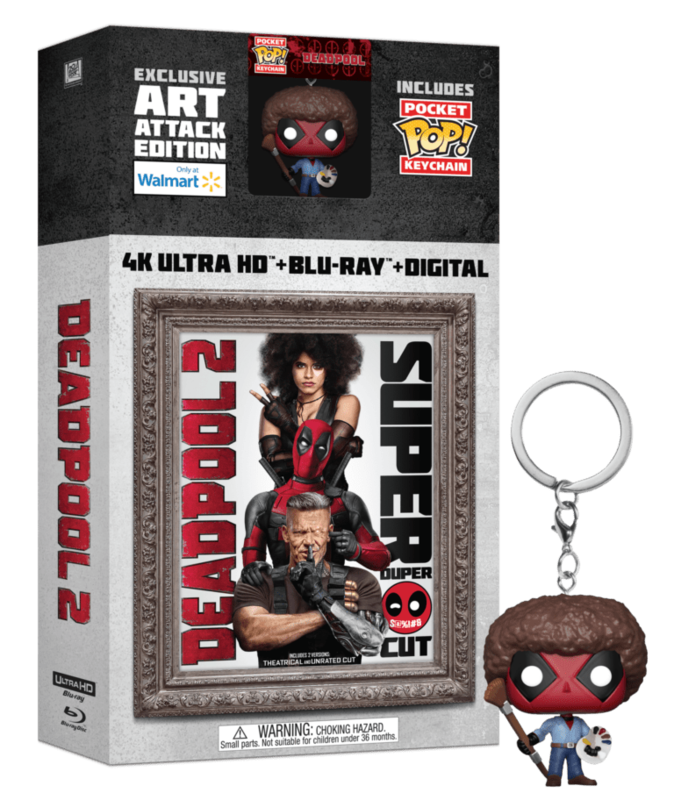 The Walmart exclusive includes an”Art Attack” Deadpool Funko Pocket Pop Keychain available with the Deadpool 2 Super Duper $@%!#& Cut on 4K UHD and Blu-ray. 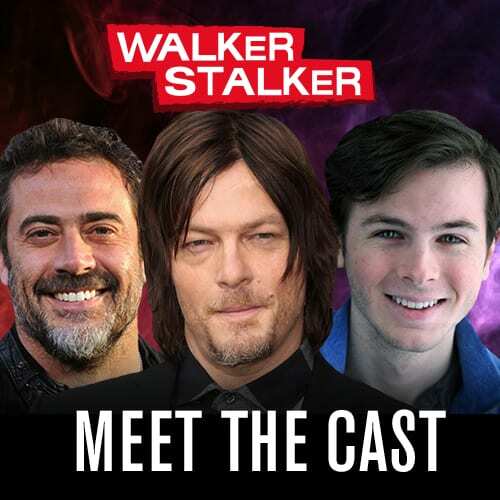 This exclusive package can be purchased online from Walmart.com or at any Walmart store while supplies last. The Target exclusive release comes with a Deadpool 2: A (Not Suitable for) Children’s Book, available with the Deadpool 2 Super Duper $@%!#& Cut on 4K UHD and Blu-ray. 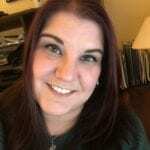 This exclusive package can be purchased online from Target.com or at any Target store while supplies last. The Best Buy exclusive offers a Collectible 4K UHD and Blu-ray™ Steelbook. This exclusive can be purchased online at BestBuy.com or at any Best Buy store while supplies last. The Deadpool 2 Super Duper $@%!#& Cut is available now on Digital and on 4K UHD and Blu-ray on Tuesday, August 21st. 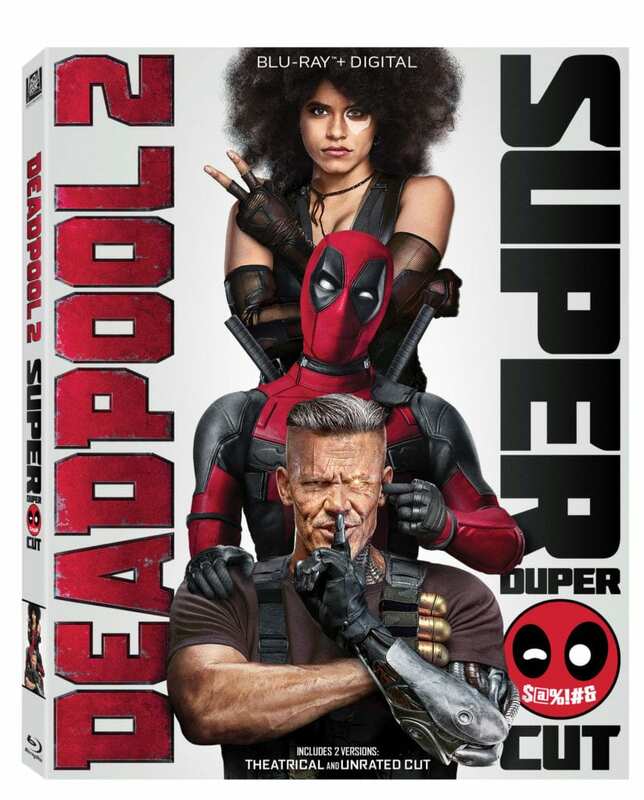 The Deadpool 2 (theatrical version) is also available on DVD starting Tuesday, August 21. Make sure you pick up your copy today! 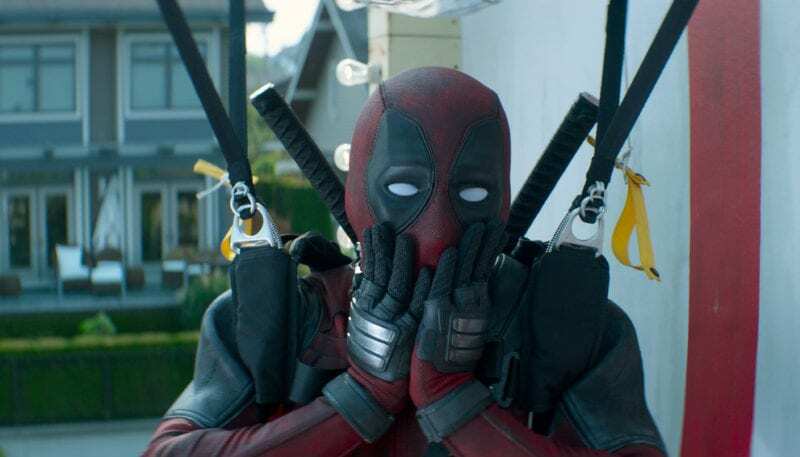 Are you excited about the Deadpool 2 Super Duper $@%!#& Cut Blu-ray and digital release? 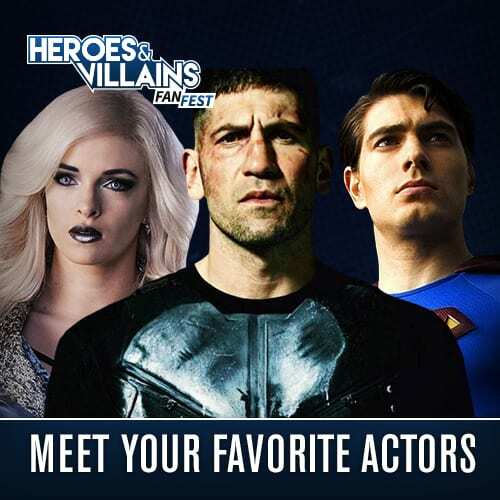 Let us know your thoughts in the comment section below.